Many Reasons to love Fish. There's a lot of goodness in fish, it depends on the kind of fish though. Not all fish are that nutritious. Here are my top 5 picks, which i feel you should try. COD: also known as 'panla'. Common in Nigeria. MACKEREL same as what we call titus fish. SALMON: Not so common in Nigeria, can be found in supermarkets, and are a bit pricey. SARDINES: Mostly comes in a tin. Discard the oil to reduce your calorie intake. These fish above have different species, but they are generally the same, as per nutrition. 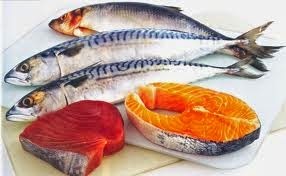 These fish above are rich in Omega-3 fatty acids, Vit D, selenium, B12 etc. These nutrients are very important for anyone on the journey to wellness and weight loss, the body needs to be nourished at all times. I cant even begin to mention the goodness of omega-3 fatty acid, which is found in fish. These fish are moderately low in calories, depending on how you prepare them (do not fry). Make soups, sauces, salads or simply steam them with spices and herbs. Its your best bet as per weight loss. I eat loads of fish, both at the peak of my weight loss journey and now. I stopped red meat since last year, so fish was the next best thing for me, i haven't looked back since then. 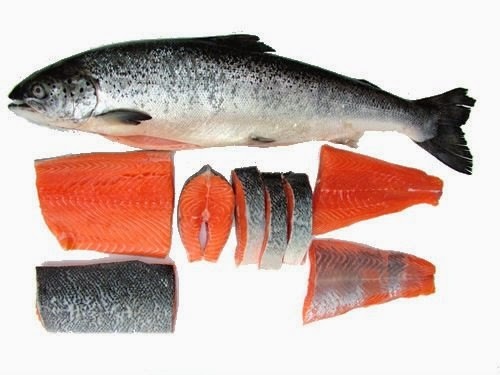 I always advise that people should cook their own fish, try as much as possible to limit the amount of smoked and salted fish you buy (even point and kill) They are high in sodium, and you dont know what goes into preparing them. Use them sparingly in your soups and dishes. Personally, I want to be sure of what i put on my plate. If you are a fish lover Holla!! My favorite fish are the Mackerel and Cod. Yumm!! God bless. Hey Nena. Dont be shocked o. Lol. These 5 are top rank as per nutrition. Catfish is also healthy. Cheers. Lol! Not easy my dear. Thanks. God bless.